Come along to this interactive science event, held as part of the Sydney Science Festival and during National Science Week. 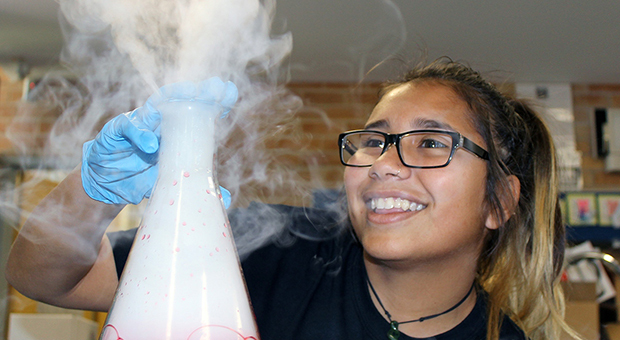 Indigenous Science Experience is a celebration of Aboriginal and Western science, which highlights the relevance of science, technology, engineering and maths to our everyday lives. There will be a range of hands-on, interactive science activities for people of all ages. Presenters include Indigenous scientists, Elders and youth as well as science researchers, community groups, government departments and science outreach providers. Activities include yarning with Aboriginal Elders about bush foods and medicines, Indigenous astronomy, 3D printing workshops, math puzzles, neural knitting, crafting traditional Aboriginal tools, physics activities and much more. This event is organised by the National Indigenous Science Education Program, Macquarie University, and hosted by Redfern Community Centre. It is supported by Inspiring Australia and the City of Sydney.